My husband and I really enjoy quiche. 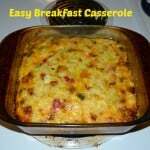 They are simple to make because all you really need are eggs, cheese, a variety of vegetables, and some type of salted cured meat if you want. I often make them on the weekends or whenever I’m home from school. 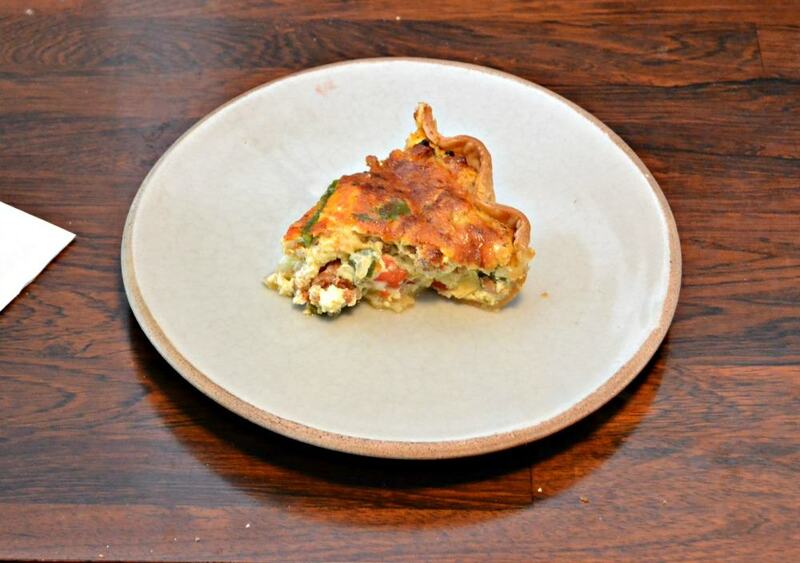 Since this week’s Sunday Supper theme is Eggtastic Recipes I couldn’t wait to share one of my quiche recipes. 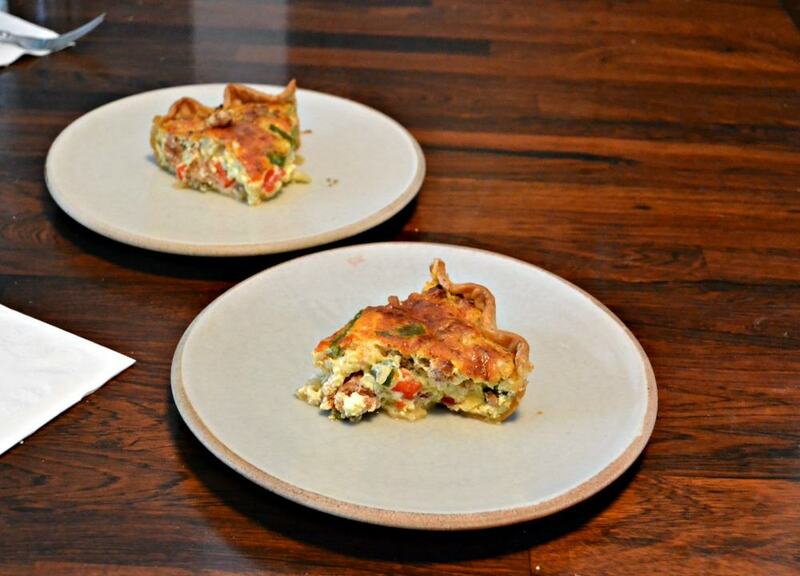 I’m sure this blog has at least 5 recipes for quiche on it but I’m going to add another one! 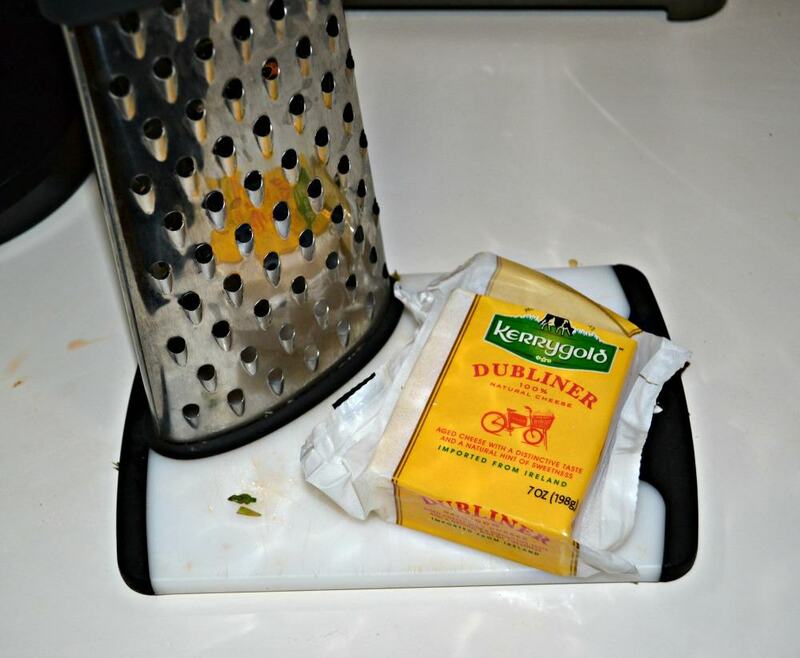 Earlier in this week I got some Kerrygold Dubliner Cheese (if you haven’t tried it you need to get some ASAP!) and I knew I wanted to use it in my quiche. So, I made the entire quiche around the Dubliner flavor. I started with the meat. I chose Chorizo because the spiciness of the meat works well with the creaminess of the Dubliner. Then all I had to do was find some vegetables to go with the Chorizo and cheese. I picked out bell peppers and sweet onions for their sweetness and asparagus for the look. The quiche was awesome. One of the best I’ve made to date! The Chorizo lent a spicy flavor, the peppers and onions added sweetness, and the Dubliner cheese was creamy and delicious. All together it made a delicious quiche that looked tasty too. 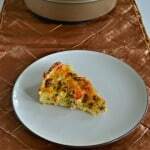 The quiche was the color of eggs with clear asparagus spears throughout the dish and a sprinkling of red paprika on top. A tasty brunch dish made with spicy Chorizo, sweet peppers and onions, and Kerrygold Dubliner cheese into a delicious quiche. Unroll the pie crust and place it in a pie pan. Set aside. In a medium skillet crumble the Chorizo and cook for 5 minutes over medium heat. 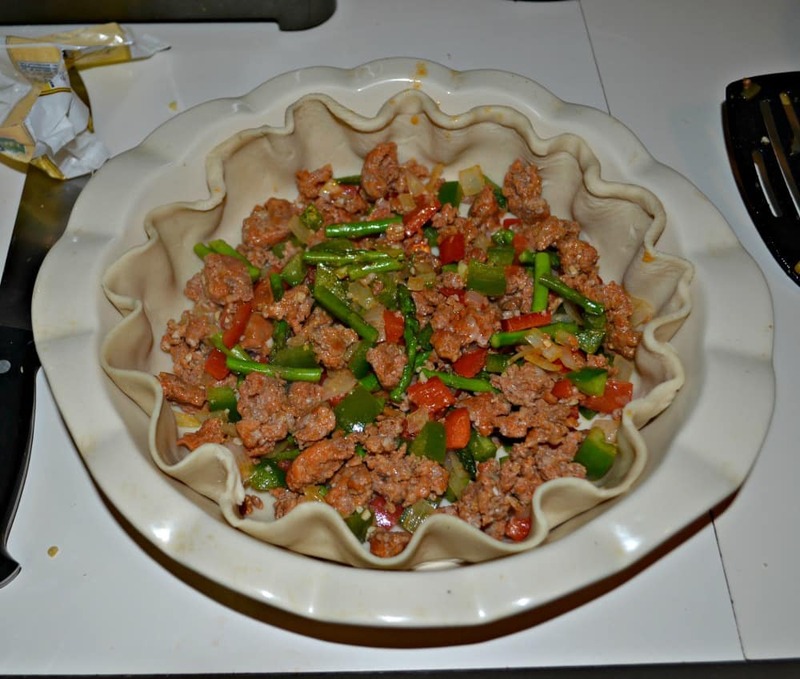 Add in the bell peppers, onions, and asparagus and cook for 3-4 minutes. Sprinkle with black pepper and remove from heat. In a large bowl beat the 5 eggs. Add in the garlic, cheese, milk, and herbs de provence. Mix well. Place the vegetable Chorizo mixture into the pie crust. Pour the egg and cheese mixture over top of it. Sprinkle with the paprika. Bake for 45-50 minutes or until the top is browned. You had me at Choizo never mind dubliner, vegetable or quiche! I have lots of Dubliner in my fridge—and I’m all for an excuse to buy some chorizo! What a lovely quiche!!! Quiches have endless possibilities, so I am all for seeing more quiche recipes. This looks great. Mmmn chorizo and Dubliner. What a great combo! 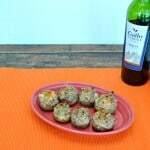 Thanks for sharing this great recipe. Oh wow! This sounds like an amazing combination of flavors. Thank you! It’s a delicious combination for sure! Interesting flavor combination! We love quiche of all sorts. My husband loves Chorizo! This is going on the “must make” list!